The October Newsletter has been sent to subscribers. Entitled “Revolutions in Taste”, it explores the potential of food and wine to induce social change. The Newsletter for September has been sent to subscribers. Entitled Habits and Heresy the issue concerns food rules, their contribution to social identity, and the role of the culinary artist in breaking them. Mole Blanco, Chocolate/Butternut Squash Ravioli, Bolognese Ragú with a twist. The August edition is on its way to subscribers. Entitled “Speaking With Tongues: How Food Expresses Culture” we explore the cooking of Tuscany with a traditional Italian feast. When is Tuna Casserole a Work of Art? Philosophical Lagniappe: What is a Representation? 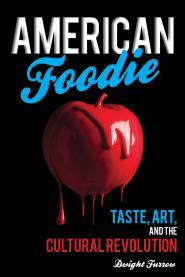 The May issue of Edible Arts is on its way to subscribers. Entitled “Food Fights”, this month we explore the cultural identities that form around food and wine and consider the degree to which they are influenced by taste. February’s Newsletter is being sent to subscribers. Subscribers can discuss this issue here in the comments.